I've been listening to Teenage Fanclub for who even knows how long. These legendary Scots are on US shores to play lovely songs for us, some from newest record Here (out now on Merge!) and certainly some from the band's hefty back catalogue. For fellow Fanclub fans, I just so happen to have a pair of tickets to see the band's wonderful lightness of being wonderful happen at the 9:30 Club on 10/14. 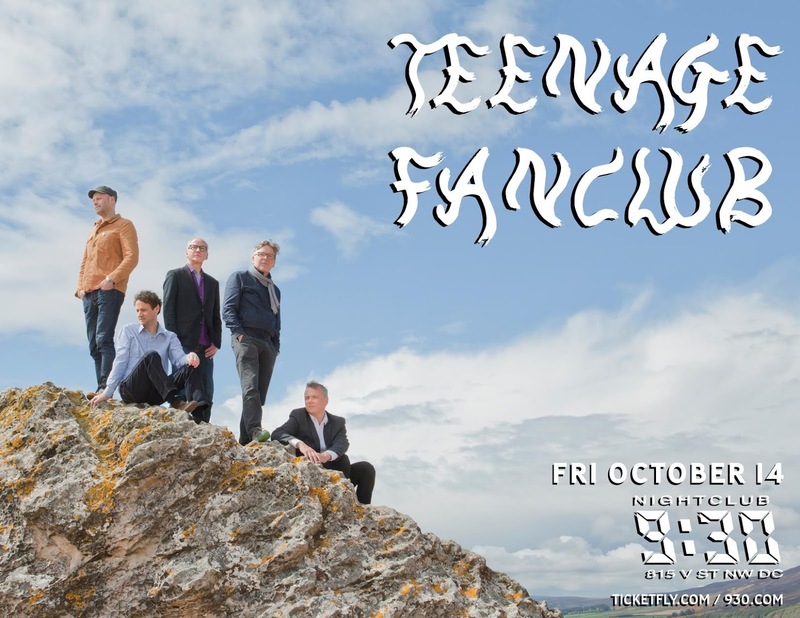 To win, email me your favorite Teenage Fanclub song and perhaps a few words about why you'd be the best winner of said pair of tickets. Contest closes at high noon (Eastern time) on Wednesday, 10/12, so be sure to get your entries to me sooner rather than later. To inspire you, here's one of my favorite Fannies jams.